Exciting percussion duets and trio's, which were the dawning of Michael Baird's 'voodoo-jazz' style! 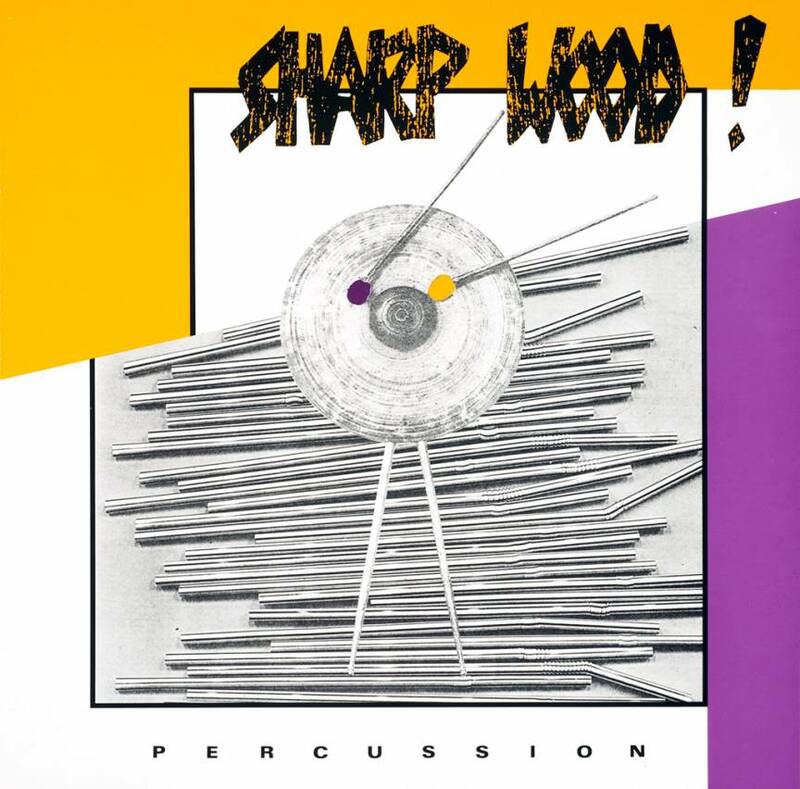 Drumset, conga's, timbales, tom-tom set, bells & blocks and vibraphone, digitally recorded in 1986. With Michael Baird (GB), Broer Bogaart (= Arnold van den Bogaart) (NL), Hans Hasebos (NL). This LP is the renowned 'classic pressing' as manufactured by Phonogram at the time. Side A: 1. Sambé, 2. Fast Jazz, 3. Herbal Event, 4. Randjes. Total 20'25". Side B: 1. House Dancing, 2. Wawancito, 3. Greenspace, 4. Afrimpro, 5. Eeway, 6. Beep-Beep. Total 20'07"
Badische Zeitung 1988 (D): "Ist es Jazz? Ist es Voodoo? Es spielt eigentlich keine Rolle, denn die Musik der Sharp Wood ist Weltmusik, die überall verstanden wird." "Is it Jazz? Is it Voodoo? It’s of no importance because the music of Sharp Wood is world-music, that can be understood everywhere." Jazz Magazine 1988 (F): "Les sonorités restent subtiles, les rythmes variés et les compositions – toutes originales – donnent alternativement le pas à l’aspect mélodique et percussif des instruments. A découvrir ‘live’ s’ils passent près de chez vous." "The sounds remain subtle, the rhythms varied and the compositions – all originals – alternatively highlight the melodic and percussive aspects of the instruments. Check it out if they play near you."